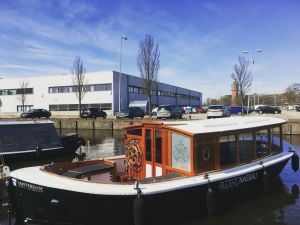 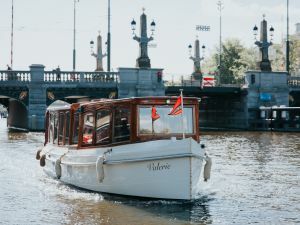 This magnificent vessel is the smallest saloon boat of the Rederij Belle fleet. 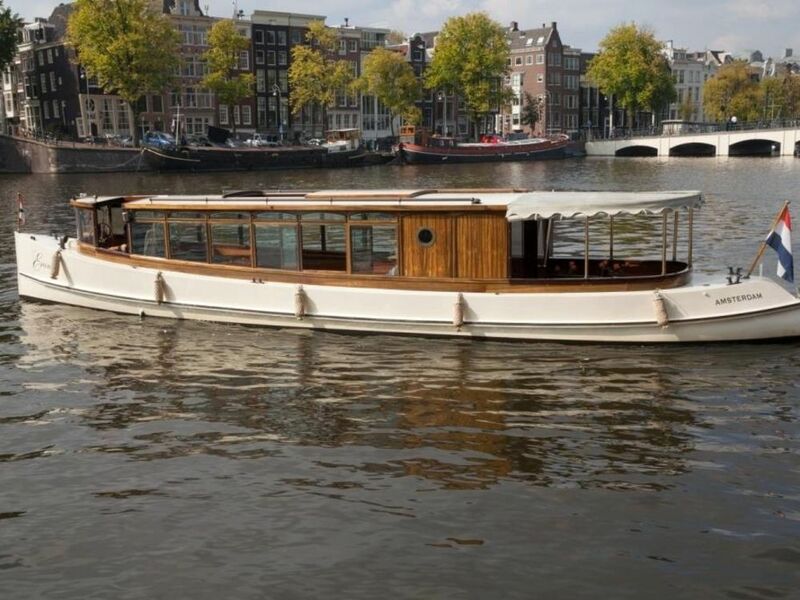 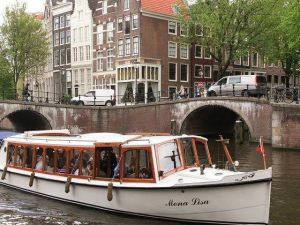 It was built in 1913 at the Tiebout shipyard on the Amstel River. 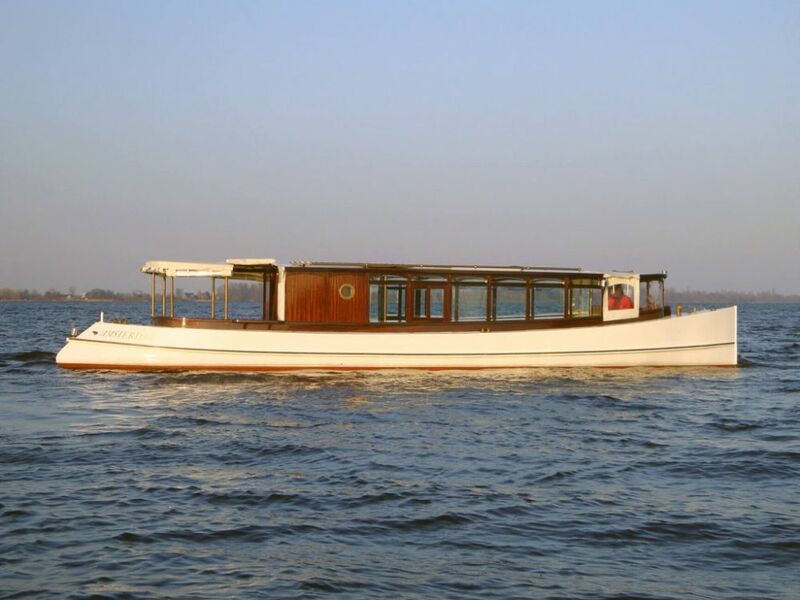 Several years ago, the boat was completely restored with the luxury and grandeur of the swinging 1920s. 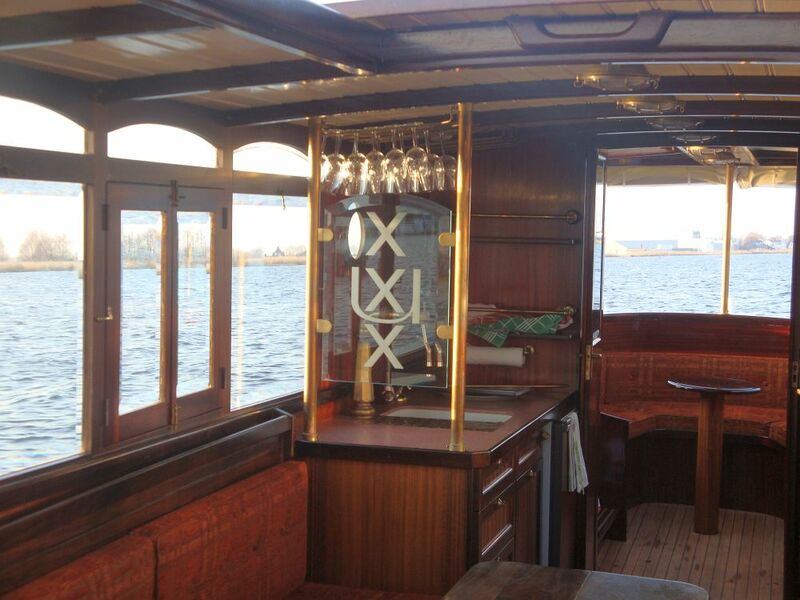 Polished mahogany wood, cut glass and original art deco details adorn the interior. 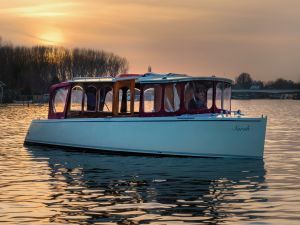 The cockpit can be fully opened as well as the sundeck. 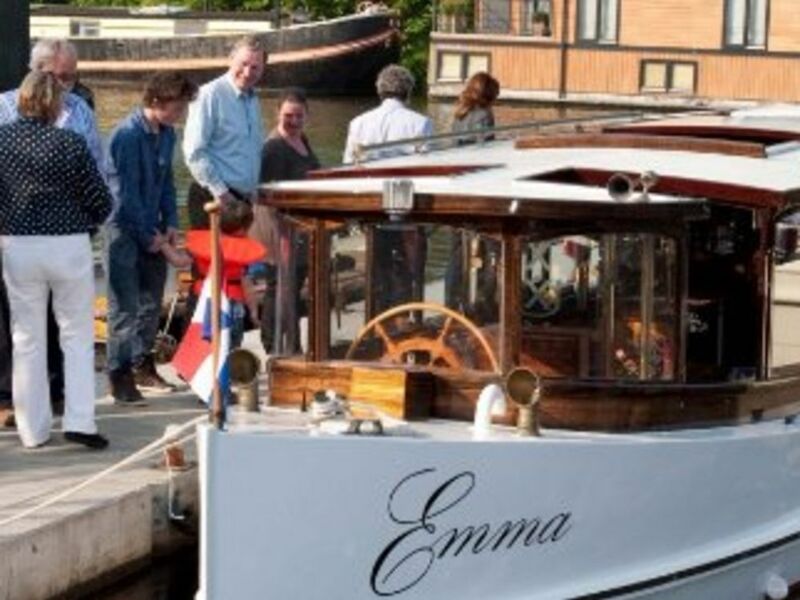 In April 2011, the saloon boat was commissioned by Rederij Belle and christened ‘Emma’.